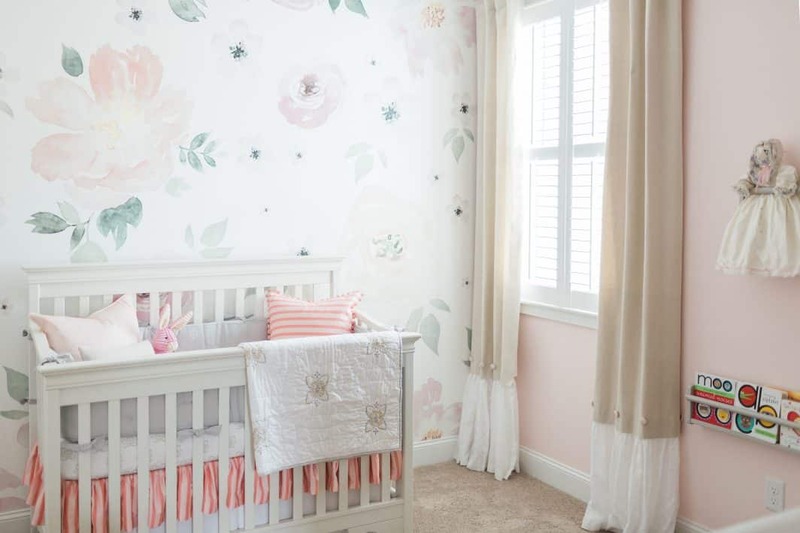 Although they may be adorable and small, newborn babies come with a lot of “stuff.” Among the little clothes, diapers, and furniture, there is a lot to think about when decorating, arranging, and organizing a nursery. Naturally, you want to make sure the nursery looks just as cute as your baby! Here are a few tips for a functional, well-organized, and beautiful nursery. To help create flow in the room, functionality should be considered a top priority in a nursery. The function of the room depends on the activity. In this case, think about sleeping, feeding, playing, changing diapers and clothes, and so on. Ask yourself what you will be doing the most often. If you lack space, consider placing furniture not only against the walls, but in the corners as well. Do you still need more storage? Cubed shelving with bins is a great solution. A large cubed shelving unit creates extra storage and shelving, while a small unit provides a table top for baby’s things. Bins can hold everything from extra diapers to toys and keep them out of sight. They are also transitional and versatile for when the baby becomes a toddler. Bins can be removed and cubes can be used as shelves for books, piggy banks, and decorative items. Don’t forget about shades and curtains. Not only should they reflect your style and color scheme, they should also be easy to draw for naptime and bedtime. Black-out shades, liners, or roman shades work well in a nursery. You can anchor them with decorative curtains, satisfying both beauty and function.